Imagine waking up to a beautiful sunny day, perfect for a run. You take a quick shower, put on your running clothes, tie your shoelaces, and head out. 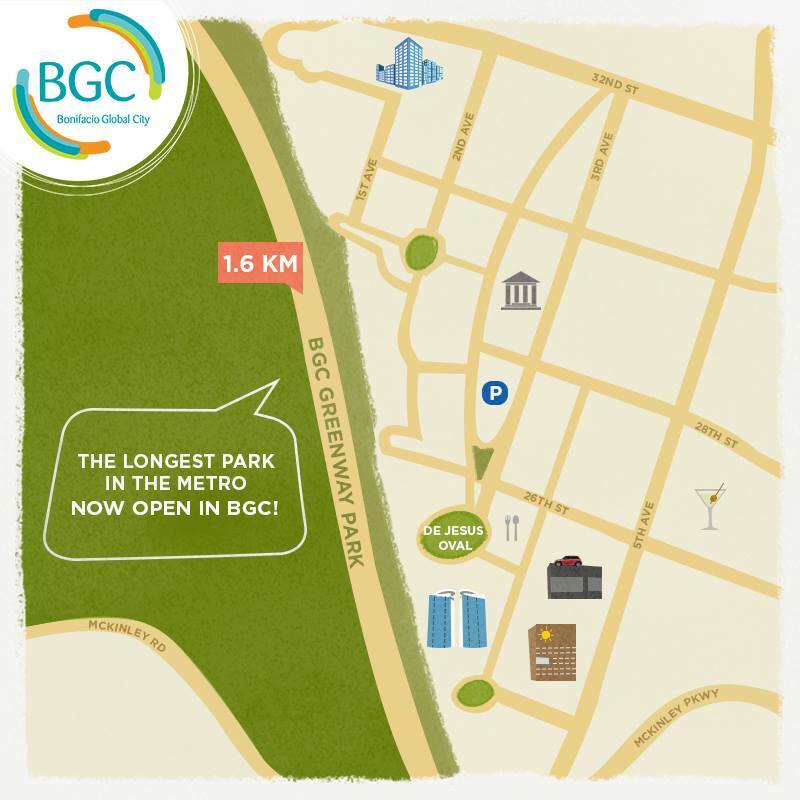 You make your way to the BGC Greenway Park. It’s still early, it’s peaceful. Great, no distractions. You breathe in the fresh air and feast your eyes on the lush greenery lining the length of the park with the beautiful BGC cityscape as a backdrop. You look over to the other side and see a group huddled in laughter at the Manila Golf Club. Ahh, this is the life. So you begin stretching, and slowly work up your pace. One step, then another, until you lose yourself in the moment. Then you slow down, take a deep breath, and stop. That was a good run. You haven’t had anything like it in a while. That is the BGC Greenway experience. Metro Manila has become an urban jungle. The once green and healthy city is now too crowded and chaotic as open spaces have taken a backseat to make room for skyscrapers and condominiums. Urbanites are finding it difficult to pursue a sound and healthy lifestyle when the air they breathe in is a mixture of hazardous, exhaust gas from various modes of transport; plus there’s always the danger of encountering accidents on the road due to oncoming vehicles. This is one of the scenarios that Bonifacio Global City wants to address. Being a safe, and walkable city, BGC’s master planner and developer, Fort Bonifacio Development Corporation (FBDC), collaborated with its very own community to bring us BGC Greenway Park, a 1.6-kilometer stretch of landscaped expanse that is poised to be the longest urban park in the Metro—its length close to New York City’s The High Line. BGC Greenway Park lies at the western part of the city. From one end, it connects McKinley Parkway to different offices and residential buildings such as the Bellagio, Bonifacio Ridge, and all the way to the Net Plaza. BGC Greenway Park provides BGCitizens a quiet respite from the hustle and bustle of daily living. In here, one can peacefully enjoy a midday stroll just to drown out the noise -- either at home or at work. 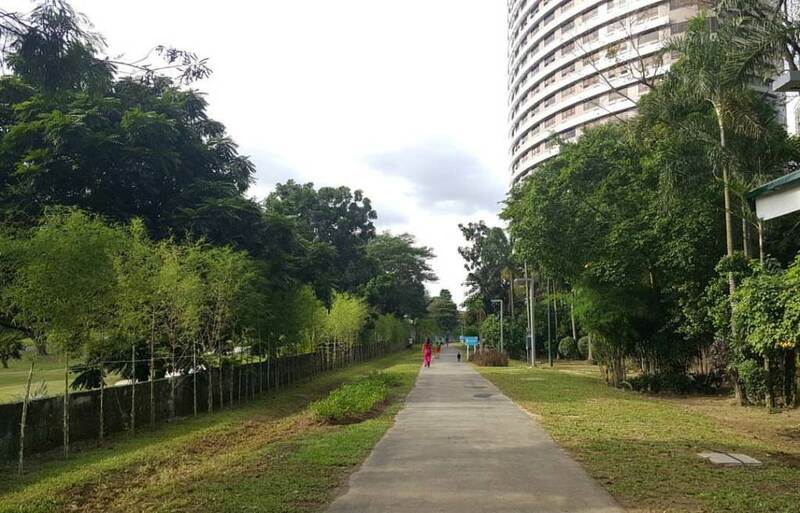 At the same time, the patches of green spaces dotted along the urban park serve as perfect lounging areas for families and friends to spend time with one another -- for hearty conversations on laidback days or a place to go for a picnic.